Prisync provides competitive pricing intelligence for all sizes of e-commerce companies from all around the world. Add your products with all the relevant information such as their SKU codes, unit costs, brand and category information and enjoy the flexibility of adding an unlimited number of competitors. 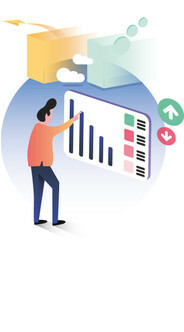 Deep dive into our web dashboard for detailed pricing analysis in your market, discover historical trends, brand/category level indices, export our data into Excel files and always be updated with our email alerts. Set competitive and profitable dynamic pricing rules with Prisync's Dynamic Pricing Module built on top of a competitive pricing intelligence engine tracking millions of price-points from 100Ks of websites worldwide. No need for an integration or any tech-heavy setup. Experience the power of competitive pricing intelligence in minutes. You'll always have access to fresh pricing data - 4 daily updates - from the market to boost your competitive intelligence. A beautiful web dashboard, brand/category level pricing analytics, historical trends, email notifications, Excel reports, API and more. Our Competitive Pricing Intelligence Engine lets you monitor an unlimited number of competitors with no country or market limitations. With our Dynamic Repricing Engine, you can set up SmartPrice rules to automatically adjust your prices against your competitors and margins. Our easy-to-use e-commerce pricing analytics offer brand/category level competitive analysis along with historical trends. Running Pricing Intelligence for companies from more than 50 countries. The best thing about Prisync's software is how quick it is to use, I am able to simply export a spreadsheet with my preferred brands or products and I can quickly see/use the spreadsheet to see which products we can increase or decrease in priced to match our company competitors. Very easy to use and for new members of the team to pick up when needed. Delivers good quality results and helps us keep track of competitors. Customer service is incredibly good when we've had questions. It's really easy to use and you have all the info available with two clicks. If you need anything, you have a great customer service that will help you in minutes! Prisync has a great user friendly interface and it helps to analyse all what you need quickly. You also get real time notifications so it helps to take needed actions rapidly. Setup was very easy and import export features are great to have at hand. The support is faultless and wish other companies would deal with issues as quickly as Prisync do. Gathering competitive pricing intelligence is no longer a tiresome or an expensive operation thanks to Prisync's seamless and fully-automated engine. Here are 3 of the countless reasons why 100s of companies from more than 50 countries choose Prisync over other vendors in the market. 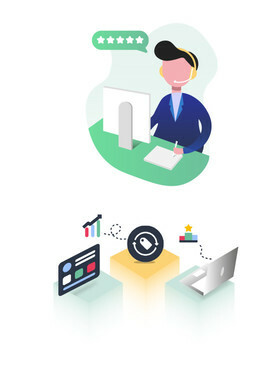 Our 7/24 Customer Support Team is always available online to answer any potential inquiry in just few minutes and work hard to make sure that you get what you're paying for. We offer a free onboarding service to plan a long-lasting smart pricing journey for all our customers. Companies in the range of micro SMBs to major Fortune 500 brands rely on Prisync's competitive pricing intelligence data to derive detailed C-level analysis and execute their global game-plans without any hesitations or concerns. Competitive Pricing Intelligence that we deliver helps companies of all sizes to increase their sales and profit margins for more than 20% on average, and save tremendous amount of time for monthly plans starting from only 59 USD per month. Choose the service that fits you best! Just pick your size & plan! You can cancel anytime. No credit card required. * API access will be charged for an extra 20% on top of your monthly subscription fee. in today's dynamic ecommerce market. 90% of online shoppers say they actively compare deals before any purchase. Nearly half of buyers only purchase discounted products. 6 out of 10 shoppers state that pricing is the key factor when it comes to the buying decision. Let Competitive Pricing Intelligence become your secret marketing weapon. Start your 14-day free trial with Prisync now! What does Competitive Pricing Intelligence mean for an e-commerce company? Competitive Pricing Intelligence is a market research method focusing on populating and analysing competitor prices to setup a smarter competitive and pricing strategy in price sensitive markets. In e-commerce terms, it is the process of automated price monitoring on competitor websites and their detailed analysis to derive meaningful insights and strategies. Would my company benefit from Competitive Pricing Intelligence? 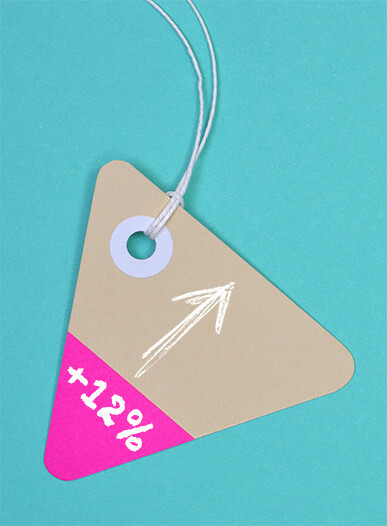 Price is one of the key criteria affecting the purchase decision of online shoppers. Therefore, gathering Competitive Pricing Intelligence would immensely help an e-commerce company regardless of its size, as long as it's active in a price-sensitive vertical of the market. If you are part of such a company, then you must get Competitive Pricing Intelligence. What's unique about Prisync's Competitive Pricing Intelligence engine? Competitive Pricing Intelligence has been a labour-intensive, manual task within the retail industry for many years. Prisync has provided an extremely flexible, accessible and an automated way for gathering competitive pricing intelligence for all sizes of e-commerce companies from all around the world with its self-serve SaaS product. Does Prisync's Competitive Pricing Intelligence cover my country or industry? Absolutely yes! Thanks to our 100% automated approach, Prisync's Competitive Pricing Intelligence engine works on-demand for any country or market vertical. Our users simply define the competitive assortment they want to cover and monitor, and our flexible technology starts delivering data from any market in minutes. Do I need any technical integration before using Prisync? No! Prisync is a self-service product that requires no integration or technical operation beforehand. We provide a very easy-to-use web dashboard from which our users can control and manage their Competitive Pricing Intelligence processes easily. Can I have a free trial with Prisync before I subscribe for a paid plan? Yes! We strongly encourage all our users to have an in-depth 14-day Prisync free trial where they can access to Prisync's complete Competitive Pricing Intelligence feature set without any limits. During the free trial, our team will be in touch with you to help you evaluate Prisync better for your business.